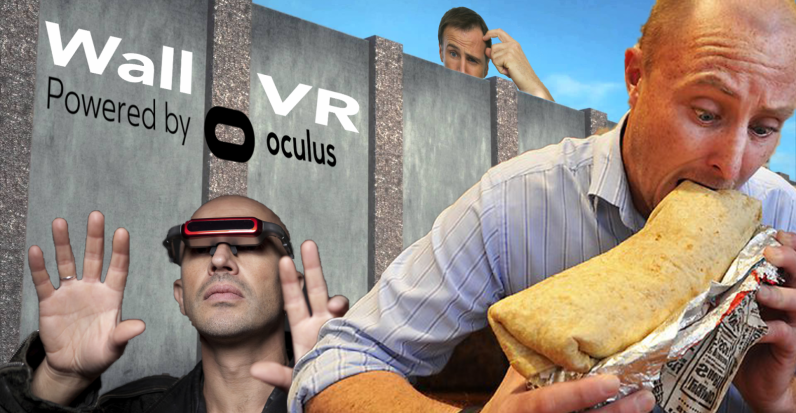 Oculus founder Palmer Luckey is working on a plan to use AI and VR to spot those attempting to cross the border between the United States and Mexico. Mexico isn’t going to pay for it. Luckey’s company, Andruil Industries — which refers to the magical sword used by Aragorn in Lord of the Rings — has reportedly set up three tech-filled towers on a Texas ranch near our southern border. The goal is to identify moving objects — both people and animals — from up to two miles away. Once detected, the system would then relay information to a VR headset or television. The hope is that Andruil could one day sell the technology to the Department of Homeland Security who, presumably, would use it in place of, or perhaps as a compliment to, President Trump’s proposed border wall. US Customs and Border Patrol told Wired that the technology has, so far, helped to identify 55 people crossing the border over a 10 week span. Luckey, who sold Oculus to Facebook in 2014 for $2 billion left the social network last year. After kick-starting the current VR craze by building one of the first consumer-grade headsets in a garage (or maybe not) Luckey was ousted from Facebook after a crazy year that saw the 25-year-old lose a pricy intellectual property lawsuit before being outed as a member of a pro-Trump troll factory known as Nimble America. The Daily Beast, which broke the story, alleges Luckey funded the organization best known for anti-Clinton, pro-Trump memes and propaganda. In funding news that should surprise no one, the company’s biggest backer is another vocal Trump supporter, Peter Thiel.